When I blog on my travel, I prefer to focus on the good stuff, because travel writing is a good thing, it’s a learning experience and its about sharing motivation with others to pack their bags and find new places, meet new people, eat new food and create new stories. My Blog post number 39 however, is a sour, ugly one. I met people I would rather not. I don’t like it, and I am hesitant to post it. It’s a story of travel going wrong, which does happen, and giving me an eye-opener on how ugly and incompetent problem-solving by a world-renowned corporation can be. I’m sitting in the Vienna airport with a cold beer waiting for my connecting flight to Doha after what was probably my worst ever weekend of traveling in my life and I’m struggling how to approach this blogging task. In my head I hear the good lesson I learnt from Dr. Humphrey Mathe over and over again. ‘When you have a difficult assignment to write about’, he taught me, ‘write it after time has passed, then let it sit for a few hours, then read it twice, and then re-write it so that you don’t include too much emotion’. Its wise words, and I’ll try, but its also an incident I would like to report on exactly how I experienced it. (this previous paragraph I wrote in July 2016, while still in the emotion of the incident. I let it simmer until today, but it still bugs me). And once we’ve accomplished that satisfactory happiness, slowly and hesitantly we turned our back on the beautiful ‘five towns’ (Cinque Terra) and the natural beauty linking them and headed for the famous leaning tower, the captivating Florence and the awe inspiring, history rich and fine cuisine of Tuscany and Amalfi. To have the privilege to sleep in a country guest house, rather than in a hotel room, (or two-man tent for that matter), to eat and be pampered through a five course dinner specially prepared for your little group, and all this in the stunning, idyllic, sought after, much talked about, written about, and filmed about Tuscan countryside, remains in my mind one of the highlights of my now already three year long European sojourn. And this pampering I furthermore had the privilege to share with my family on my son’s 16th birthday and very very good friends from South Africa. That was good. After the platter of exquisite prosciutto we were presented with Andrea’s striking…… PENNE pasta dish followed by a exquisite chicken and vegetable dish. The wine was good and flowing, the food excellent and in abundance and I was getting really relaxed when Andrea entered with the most intimidating T-bone steak I have seen for quite a while. Note that I am South African; we are not easily intimidated by good steak, and I have had the best of the best Argentina and Uruguay could offer in terms of their famous ‘bifo de chouriso’, but this one was right up there with those world renowned ones. By the time that plate of steak was empty, I can vaguely recall that there was dessert and good Italian strong small coffee, but I could not remember the detail as the meat, yes the meat! Dimmed all further taste-bud senses. I do however remember that we still had the most interesting and friendly after dinner chat with Andre and Nilce. Thanx again you two, the stay at Tenuta Il Verone was one of the highlights. 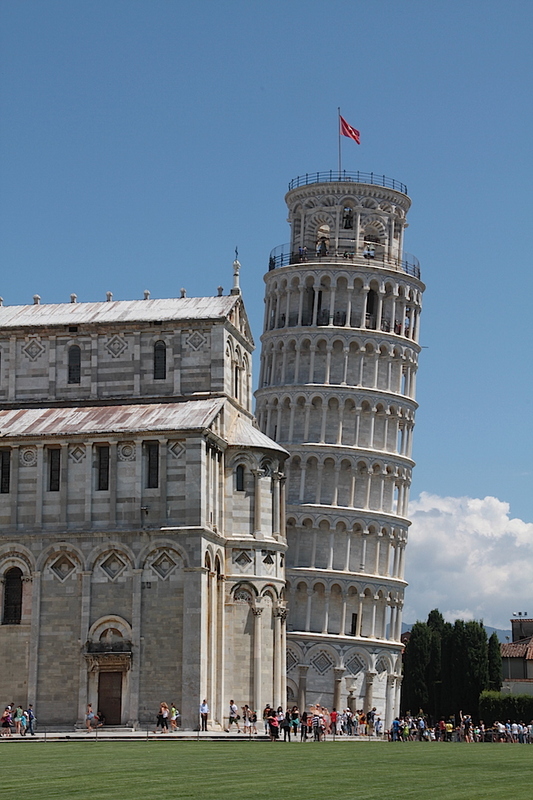 But, as is often the case with traveling, the real highlight is that we made some great new friends, in the heart of Tuscany, even through we communicate in a haphazard way, mostly through my daughter’s Spanish to Andrea’s Italian and Nilce’s Portuguese. That is one of the things that make traveling so fantastic! 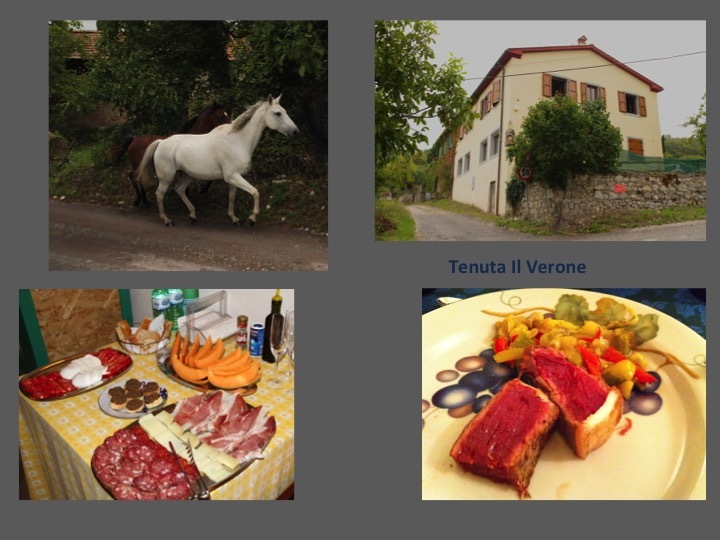 Tenuta Il Verone is a gem in the Tuscan countryside worth discovering. Book dinner! 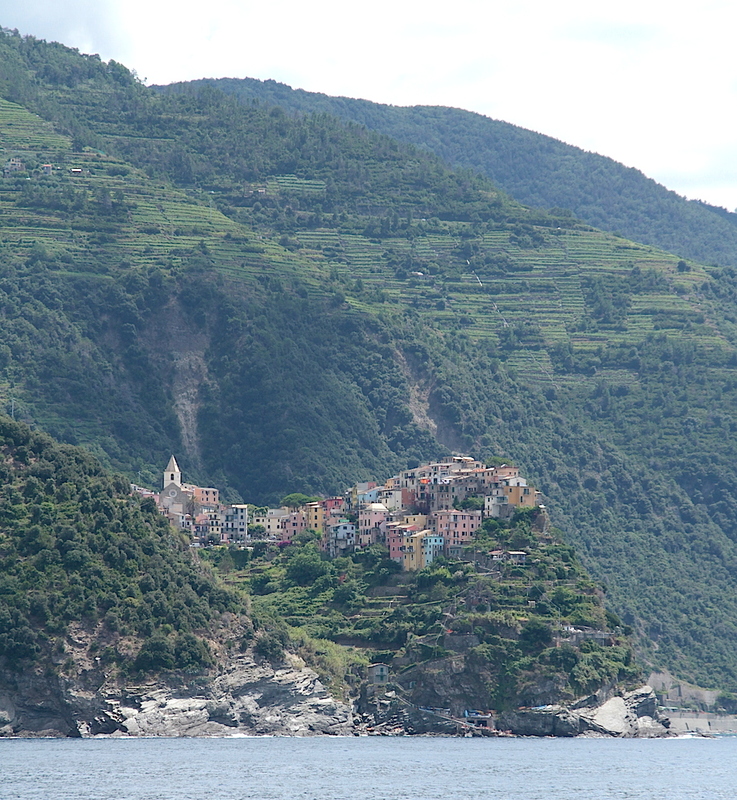 And then came Praiano, in the heart of the Amalfi coast. The Amalfi coast truly is one of the ‘must some day visit’ destinations of the world. The more famous Positano lies 18km further up the road from Praiano and yes, obviously we did visit Positano, walked the little streets and enjoyed the beach and sun. I will never ever say you can skip Positano, as it’s a must see in the same vane as is the Eiffel Tower, the leaning Tower of Pisa or even the Spanish Steps. But I do love finding the lesser-traveled roads and that slightly off the beaten track destinations which is not the mainstream, obvious tourist traps where you hear more English than Italian, for example. 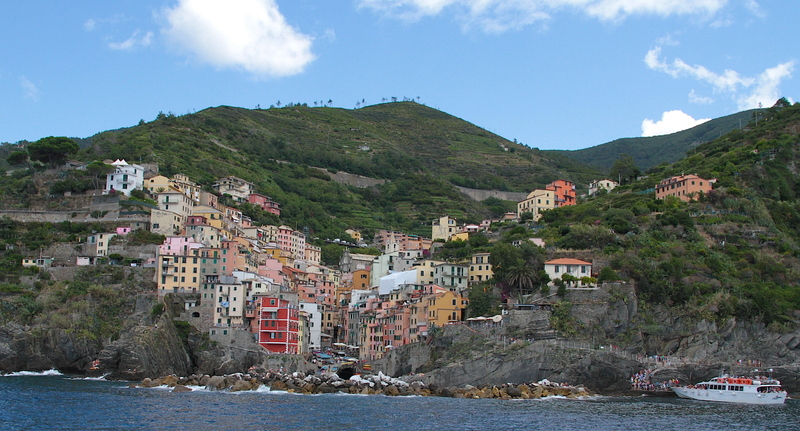 And though Praiano is still a very touristy and busy little town (just try to find casual parking! 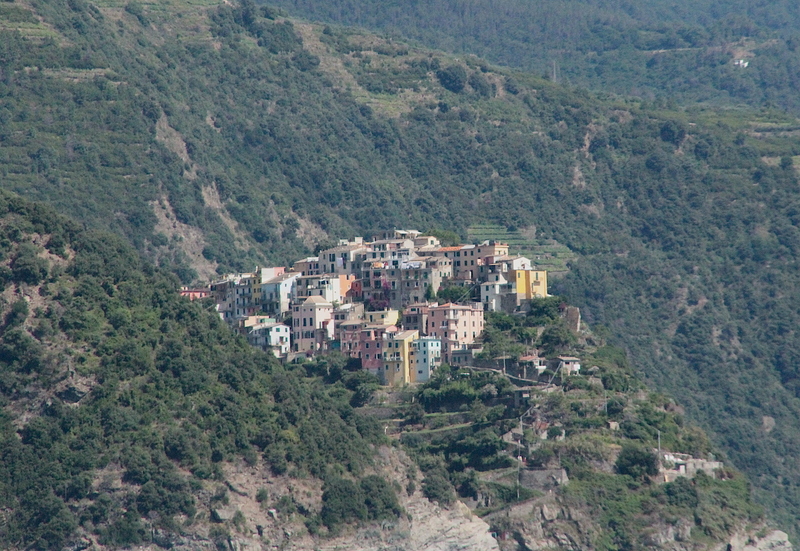 ), it is slightly less crowded and more authentic than Positano. Think Fouriesburg over Clarence, think Bacharach over Rudesheim and think Hautvillers over Epernay and you’ll get my drift. That is exactly what Heleen found when she found and booked our stunning accommodation in Praiano, complete with ‘stoep’ (veranda) high on the mountain cliffs with its magnificent view over the Mediterranean, morning, noon and night, nogal! 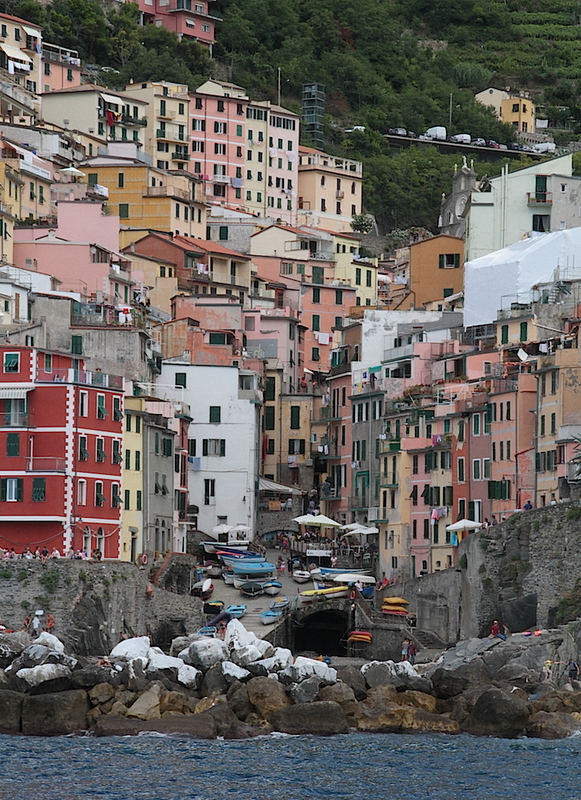 I mean, its here, in Praiano where I visited my first real Italian barber, complete with cutthroat old-fashioned razor and shaving cream (watch my short video). I can admit now that I was probably carefully scared, since I have seen many movies where these visits to the cutthroat barber turn out bloody, but I was okay, maybe because in the small-talk kick-off it came out that I was South African, and Senor Tomasso was a huge Gerrie ‘seer handjies’ Coetzee fan. Gerrie Coetzee was a successful South African heavy weight boxer in the early eighties. 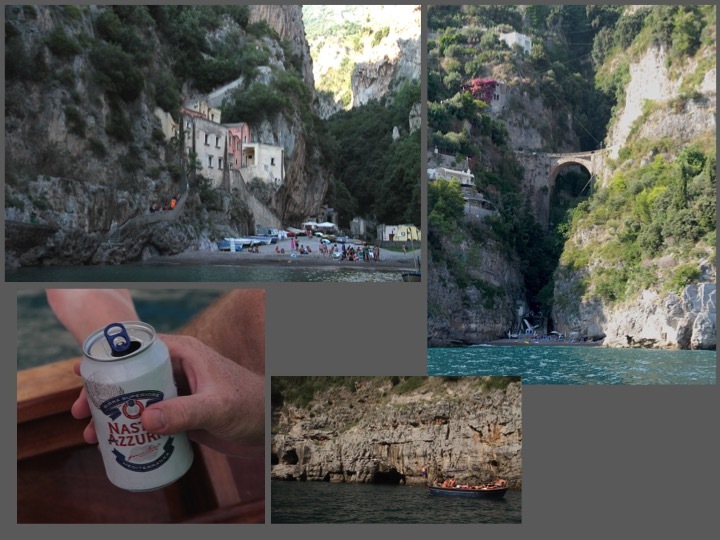 One the must do’s on the Amalfi coast is to rent a boat for a day and visit the Isle of Capri! Yes, the island of the infamous student song ‘it was the Isle of Capri where I met here, ….’ and the non-repeatable rest. What this day on the boat offers is just simply a blissful and relaxing day in the sun, with friendly chatter, every now and then a dive and swim in the blue blue water and a visit to the Grotta Azzura or Blue Caves. A casual lunch in Marina Grande and then more casual sailing back with stops and swimming to wake up your appetite for the evening’s social ‘kuiers’ around the dinner table. I think these type of relaxing holidays are made better by the company you have and mine was just perfect. And then there’s the drive! 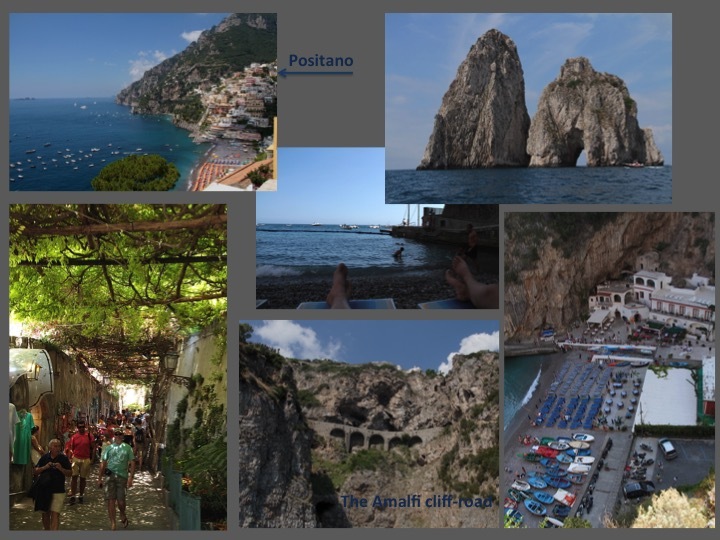 I can proudly say that I have driven the Amalfi coast in high season’. National Geographic’s travel site introduces this drive as ‘The Costiera Amalfitana, or Amalfi Coast, is widely considered Italy’s most scenic stretch of coastline, a landscape of towering bluffs, pastel-hued villages terraced into hillsides, precipitous corniche roads, luxuriant gardens, and expansive vistas over turquoise waters and green-swathed mountains. Deemed by UNESCO “an outstanding example of a Mediterranean landscape, with exceptional cultural and natural scenic values,” the coast was awarded a coveted spot on the World Heritage list in 1997.’ They then go further to summarise with the description ‘The roads along the Amalfi Coast are famously winding, narrow, and challenging to drive. Add in drop-dead views and daring Italian drivers, known for their behind-the-wheel bravado, and this road trip offers one of the more exciting driving experiences in Europe.’ I think ‘daring’ is a soft word for the Italian drivers, especially the ones on their world-renowned scooters. Suicidal is probably a more accurate word, but it does add to the sheer enjoyment of driving while trying to catch a glimpse of the glorious scenery and in the same time keeping an eye out for the scooters and large busses that will simply push you off the road. On busy weekend days, they actually have road assistants who will try to guide the traffic (though the adherence of the motorists are very very low) and even help to adjust your vehicle’s side mirrors so that the vehicles can pass each other. I say again, I have driven the Amalfi coast, in high season! 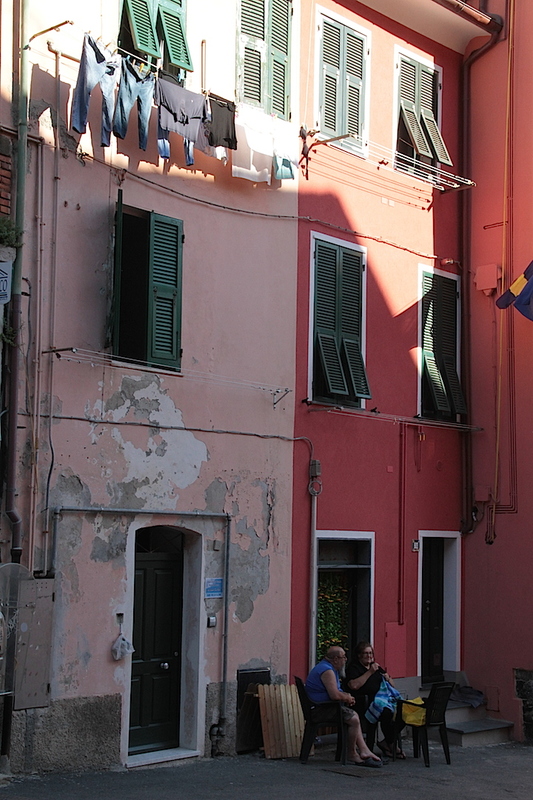 As wonderful as was the superb Cinque Terra, Tuscany and Amalfi, so disappointing was Rome. Make no mistake, Rome is a wonderful city, with so many awe inspiring historical sites and stories to get lost into. But it still was extremely disappointing to be exploited by the hospitality industry where its deemed standard practice to charge a 17% service fee, or when you order a beer and just want a beer, you are presented with a liter of beer at 18 € each. At 17% service fee, you pay more for that than what the average person’s meal and drink costs. And this service fee is not even the tip to the waiter, which creates that little ethical dilemma of true service versus fixed restaurant added cost before paying the service fee. 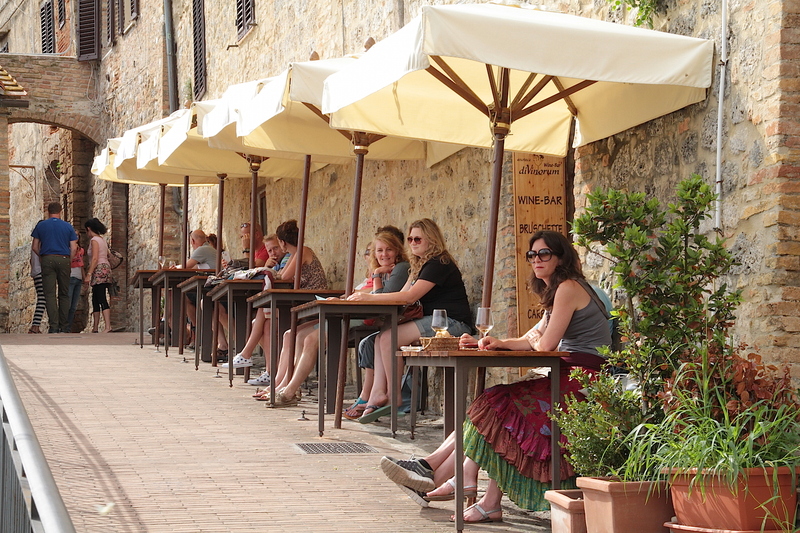 They are very friendly in luring you into their osterias but once you’ve had your meal, you’re in for the surprise. The service fee is a fixed percentage added to the bill and which is payable to the restaurant (not the waiter), because you ate there. We had good waiters every time, and who added to the whole dinner or lunch experience with their jokes, mockeries and good service and who deserved their tip, which just means that dining out end on an exorbitantly expensive sour note every time. Watch out in Rome, someone who looks friendly, will eventually stab you in the back! 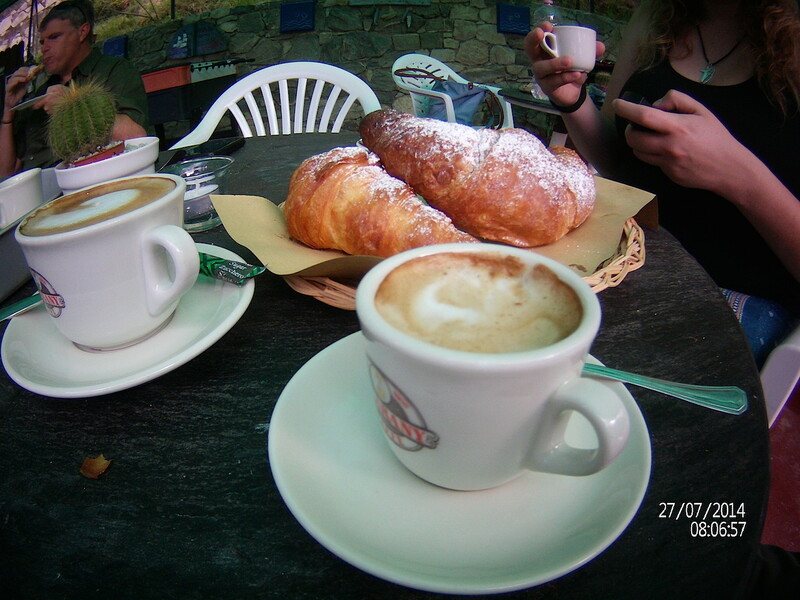 But for the rest of Italy, it is ‘magnifico, superbo, maestoso e grandioso!’ Go and travel the coasts and Tuscan rural areas at leisure and stop often, to grab a macchiato! 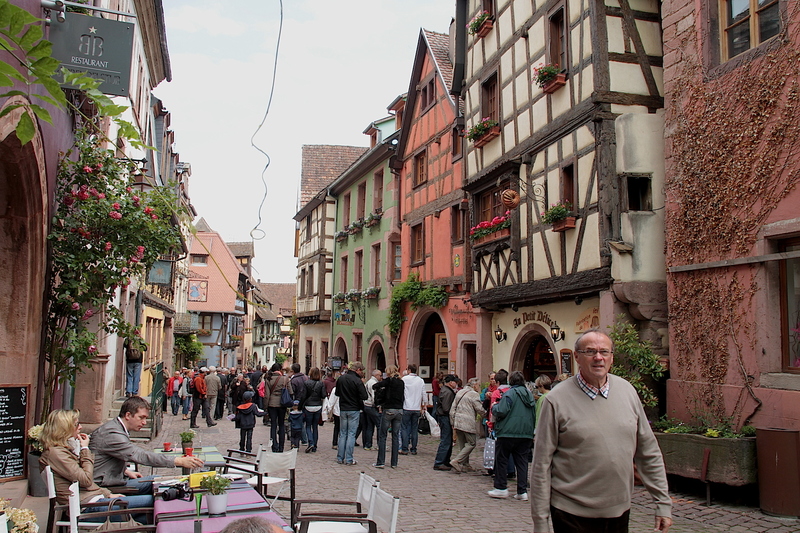 Colmar is a pleasant city, …. ‘it is situated on a fertile plain, far from the mountains, an hour along the track, with large quantities of wine and grain on either side, and the land is good for wheat, onions and other fruit of the garden. This city is the centre of Alsace and is a single league away from Kiesersperg, Ammersweiler, Rechenwyer and Rappoltzweyer, towns that make most excellent wine, the finest of all Alsace’ in the words of one Sébastian Münster in 1552. Yes, 1552! Unfortunately Messieur Münster lived many years too early to be treated to the delicate tastes of Messer’s Pierre Jourdan, Danie de Wet and many more who produce those fine ‘tranquille’ Cabrières, Chardonnays or Sauvignon Blancs way way down south at the tip of Africa. Judging Messieur Münster’s praise for the Alsace wines, I am very sure he would have approved with great satisfaction the younger South African products. 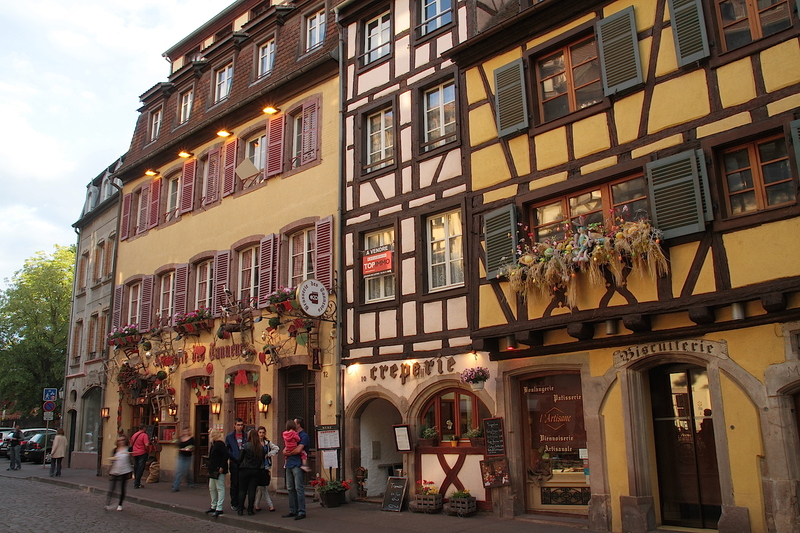 However, he was justly accurate in his description that Colmar is a pleasant city, even beautiful with its stunning, be it slightly confusing architecture. This is France in 2014, but the German Tudor style is in abundance, and beautifully restored, maintained, decorated and neatly painted sitting there just waiting to be photographed or painted. I can’t paint, though. To understand this slightly confusing ‘look’ of this treasure of a French city, I had to ask Google for clarity. Colmar is first mentioned in 823. Roughly around 1226, Colmar was made an imperial town (city formally responsible only to the emperor in the Holy Roman Empire) by Frederick II of Hohenstaufen, a Roman Emperor. In 1278, King Rudolph of Habsburg gave Colmar its civil rights. Rudolph was originally a Swabian count, but was the man who sort of started the Habsburg dynasty, who ruled much of Europe for nearly 600 years from the 1200s out of current day Austria. 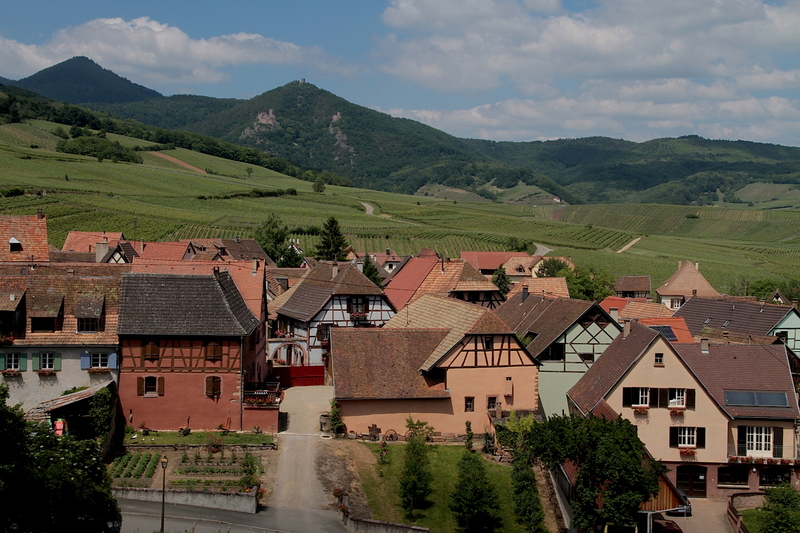 Thus, this is the first mention or reason for the German architecture and place names so evident in French Alsace. Ever since those days, there was a tug of war (pun intended) between the Germans and the French for this beautiful little town. In 1648 the Treaty of Munster handed part of Alsace back to France. In 1871 the Treaty of Frankfurt sees Alsace come under German rule again and a German ‘kommisar’ replaces Mayor Peyerimhoff. In 1883, French is banned from all official documents. On 23 August 1914 a French cavalry rides into town, but hesitantly retreats back into the mountains when the confrontation gets too hot! ‘Zeez French were lovers, not fighters!’ However, on 18 November 1918 the French troops moves into the city and the Tricolor once again is hoisted. It was still not the end, though. June 1940, those dark dark days in European history dawn on Europe and the German troops again annexed Colmar and Alsace. They take it so far that everybody between the ages 14 and 18 is forced to join the Hitler Youth! Then, five years later on 10 February 1945, General Charles de Gaulle marches into Colmar after the battle was one a week earlier. 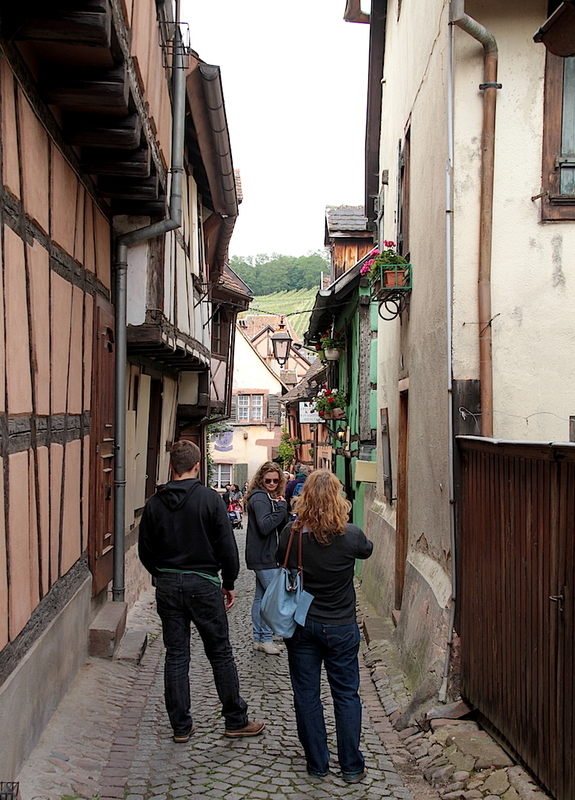 May 29, 2014, my family and I ride into Colmar after a relaxing full-day road-trip of a mere 440km from Köln through some tiny little roads which included parts of the Mosel Valley, and unpack our weekend luggage. Colmar features as the second town in the recent article ‘The 23 Most Quaint Small Towns You Must Visit Before People Find Out About Them’ on sfglobe.com. 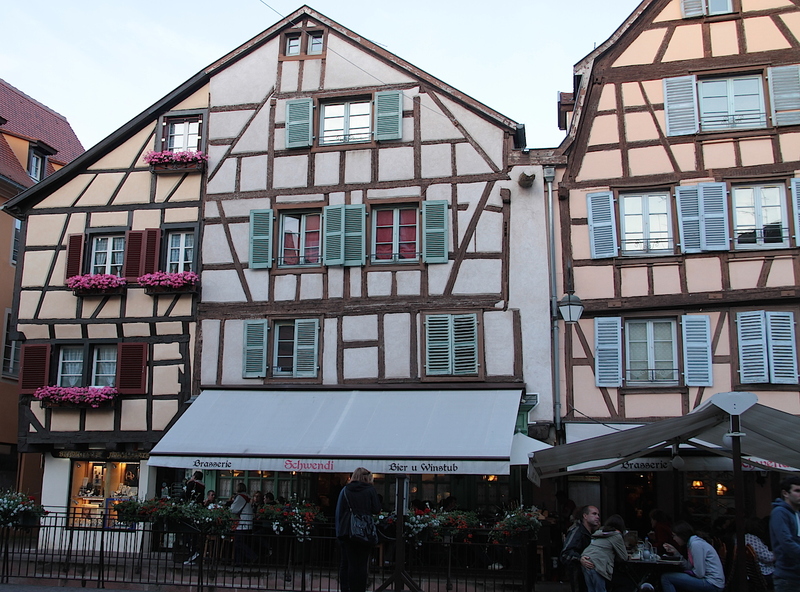 So, maybe this post of mine will spoil Colmar for a few future visitors since I can now, after my visit actively promote Colmar as a worthy visit. ‘Quaint small town’, however, is a very loose term for many of these gem towns we so enthusiastically seek out. Europe is really old, as can be seen from the time-line above, which means for a destination such as Colmar, the ‘quaint small town’ is purely the centre old part of town. 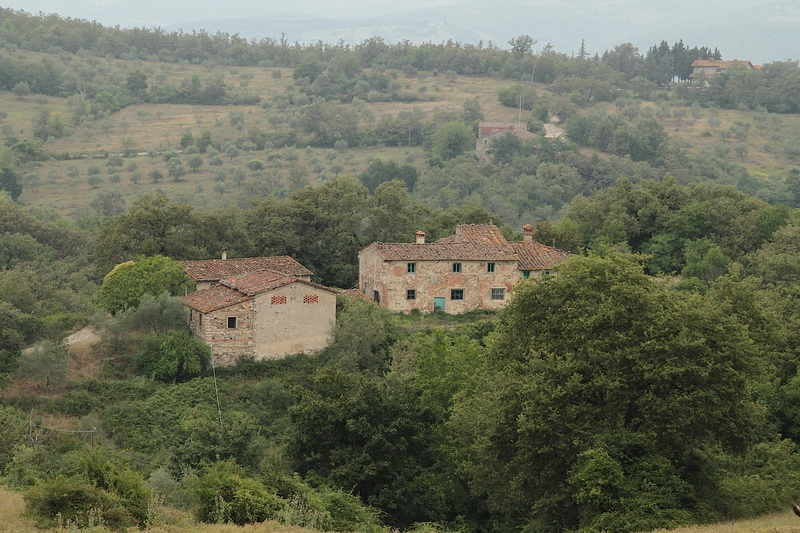 The village is surrounded by a large busy modern and often ugly outside city which does distract from the experience. In the ‘quaint small town’ of Colmar, we bought our groceries in one of the largest modern supermarkets E.LeClerq I have seen. The E.LeClerq chain is widely spread across France, and I always wonder whether it is the successful result of Messieur Le Clerq, the ‘often disguised as a secret onion seller’ in Allo Allo’s venture. or ‘baker’s oven’ (see the German in this French province). 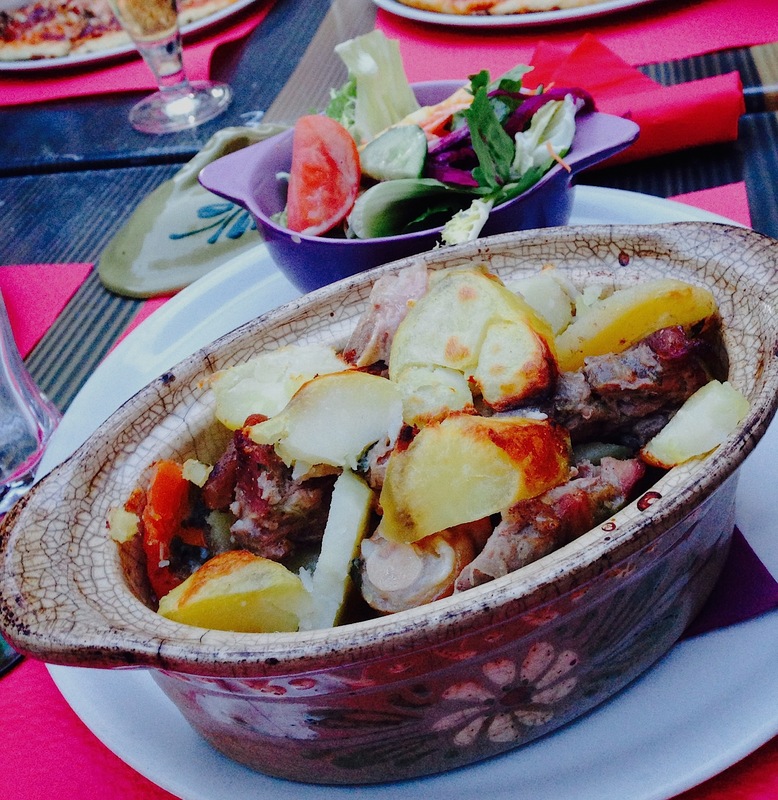 It consists of sliced potatoes, onions (bought from Mssr LeClerq, no doubt), carrots, cubed meat, predominantly beef and pork, which have been marinated overnight in Alsatian white wine and juniper berries before being slow cooked in a traditional sealed ceramic casserole. The taste is further enhanced with leeks, parsley, garlic, marjoram, thyme and time. 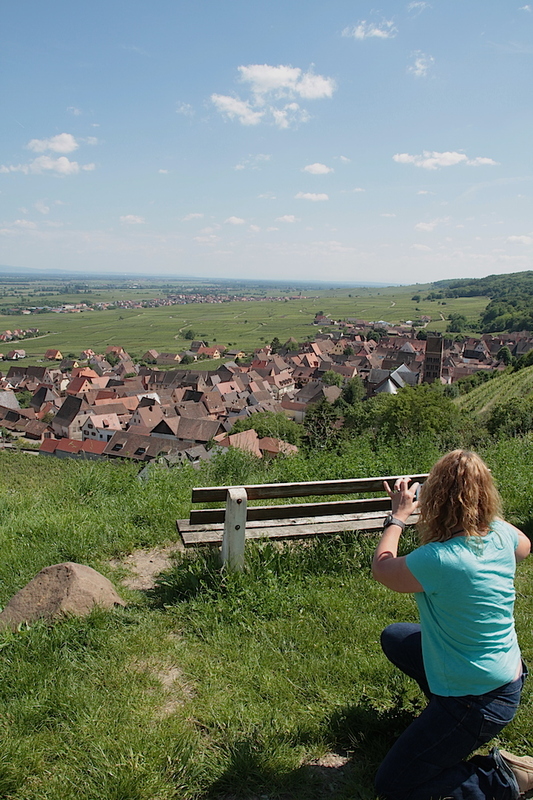 As I tend to do, I did drive to the real quaint towns too with a day-drive through the likes of Neuf-Brisach, Breisach, Riquewihr, Hunawihr and Eguisheim. 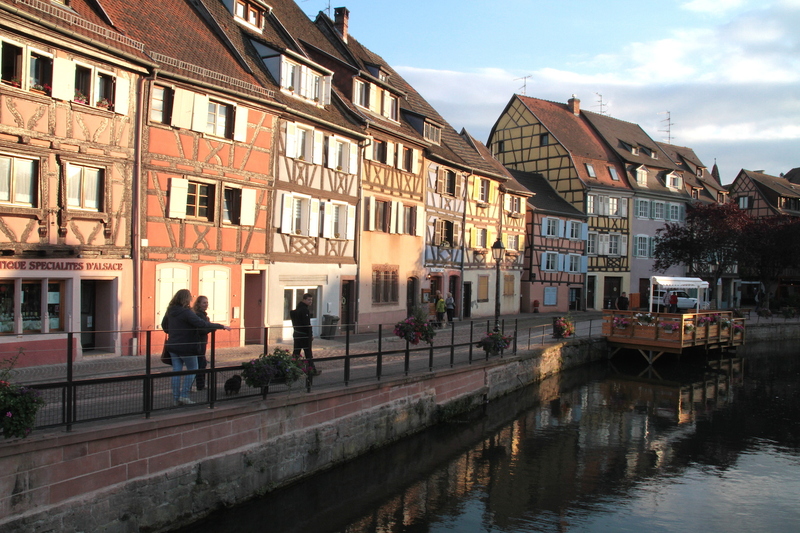 Under the title ‘the most quaint towns’ Colmar can never be visited in isolation. 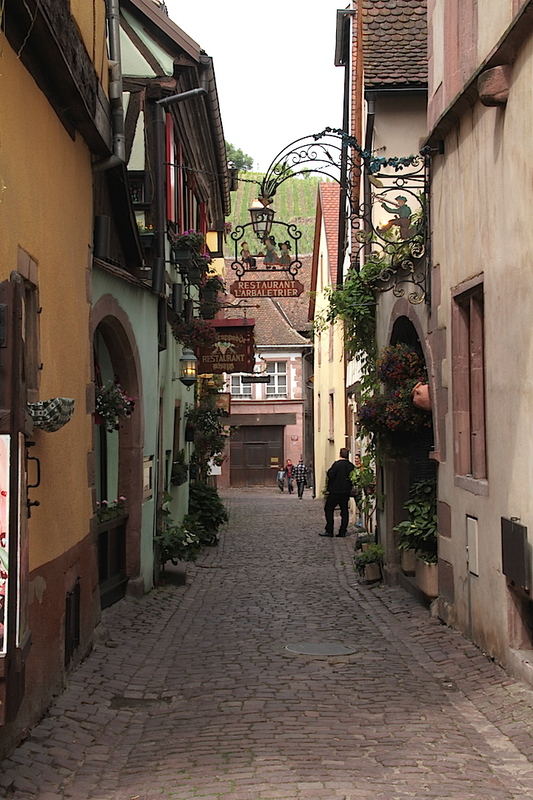 To complete the experience, one has to visit Riquewihr, the fortified church in Hunawihr and the quaint Eguisheim too. Neuf Brisach is a nice to see due to the fact that the town in its entirety is still walled and moated off, but the other three are pristine examples of the feudal medieval towns where the town was build and walled off around the church and market square. Nowadays there are plenty of little bistros, cafés, bars and restaurants lining the streets amongst the ‘vinstube’, cheese merchants and in general typical local merchandise aimed at the tourist market. 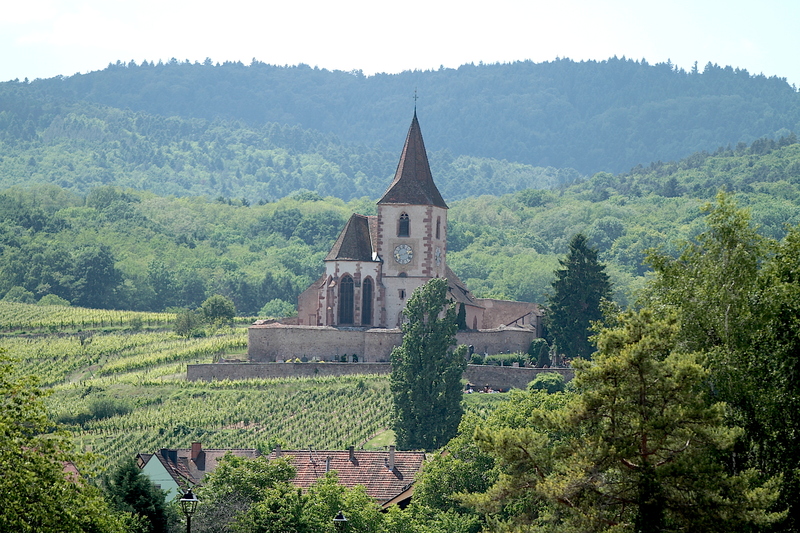 To complete the picture, these little villages are nestled in the midst of the famous Alsatian vineyards, which prompted me to make a note to visit the area in autumn again. An environmental feel-good story in this part of Alsace is for sure the breeding of the storks. I remember reading a book in primary school translated from Dutch into Afrikaans as ‘Die wiel op die skool’ (the wheel on the school), which was a story about the school providing nesting to a stork. Well, that is all I remember of the story, or maybe not even. I suppose the name gave me a hint. Nevertheless, I have now seen it with my own eyes. 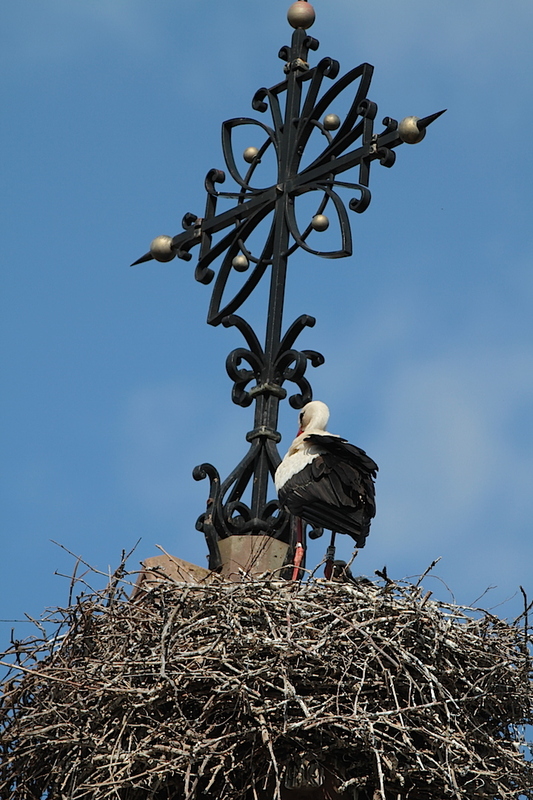 Many a roof in Alsace, even in the centre of towns, have a wheel of some sorts on its roof, with a breeding stork happily returning the stares of the tourists in the streets below while caring for their young. As a dog owner, the term Alsatian obviously rings an inquisitive bell. I found the explanation rather interesting. The name German Shepherd, for the Deutsher Shäferhund, a breed which obviously originated in Germany, was changed by the UK Kennel Club after World War 1 due to the belief that ‘German’ in the name would harm the breed’s popularity due to the negative sentiment towards the Germans at that time. Thus, the UK Kennel Club officially changed the name to ‘Alsatian Wolf Dog’ after the name of the French German border area of Alsace. Many other international kennel clubs used this name. 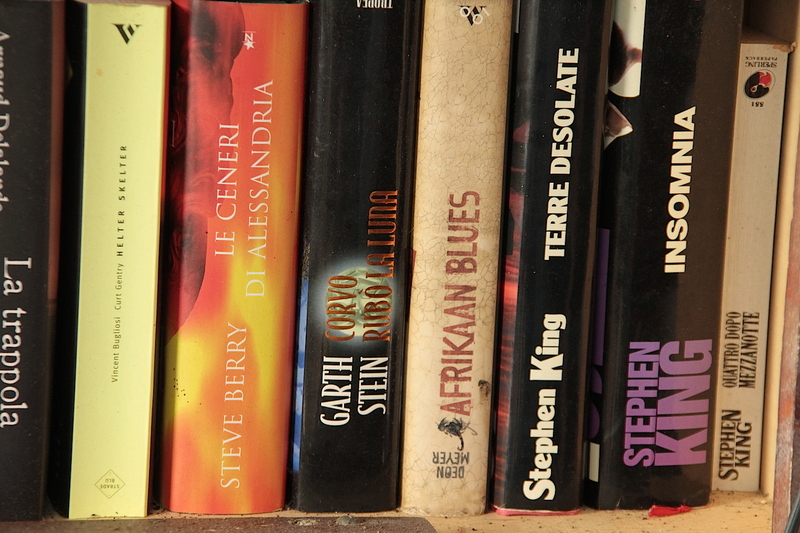 The name was officially changed back to German Shepherd in 1977, though ‘Alsatian’ is still often used in parenthesis. 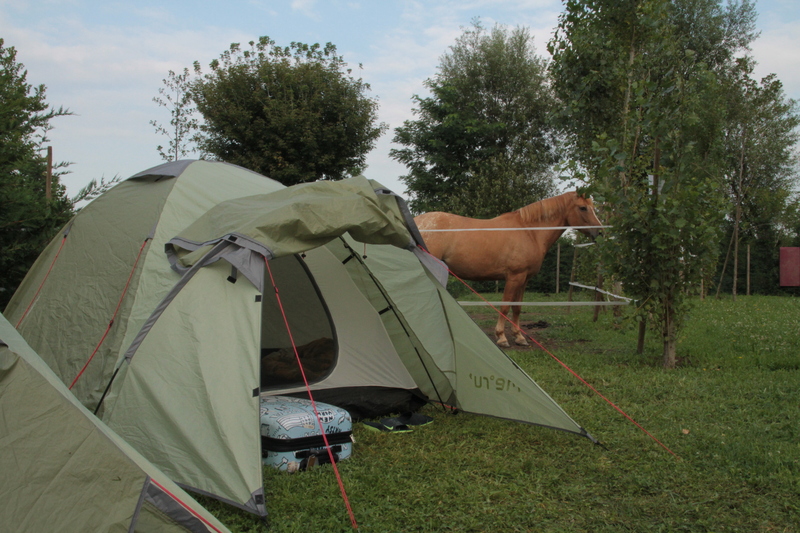 The camping scene in Europe is a curious but very healthy industry, which covers a wide range of different vehicles and tents. I was pleasantly surprised to find a real stove-like fireplace in our pitched tent, complete with wood and chimney through the canvass. Novel touch by the French! 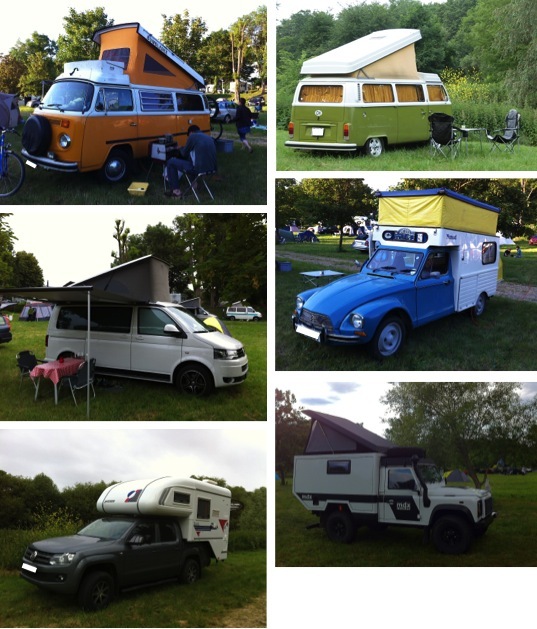 The most popular camping for the Europeans are definitely the motorhome (various shapes and sizes) and normal caravan. However, tiny tents, from one consisting of only a stretcher bed with a meter high tent on the stretcher to old-timer restored VW Kombis (as we know them in South Africa) and completely fitted Land Rover camper vans grace the lawns with their presence. I wonder if that Swiss Land Rover has ever put rubber to a dirt road. A number of people cycle, others travel by motorcycle and a few hitch-hike with their rucksacks if not using conventional transport. 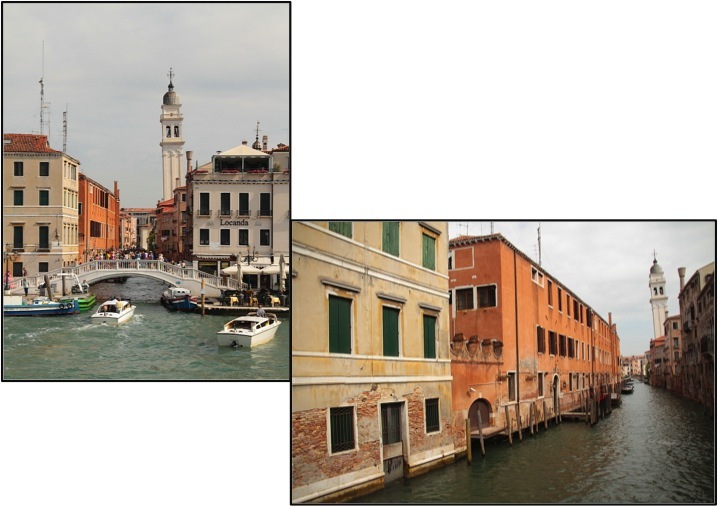 But the travel and sightseeing scene is truly alive and well in the rural areas of Europe. So, yes, I agree with the article in http://sfglobe.com/?id=908&src=home_feed regarding Colmar. Incidentally I have also visited Annecy and can vouch for that too. And where they state in the article ‘We advise you to plan a trip before they become too crowded!’ I sincerely hope my blogpost regarding Colmar doesn’t make your planned trip too late. However, feel free to contact me for advice when you need advice or help or a chauffeur! 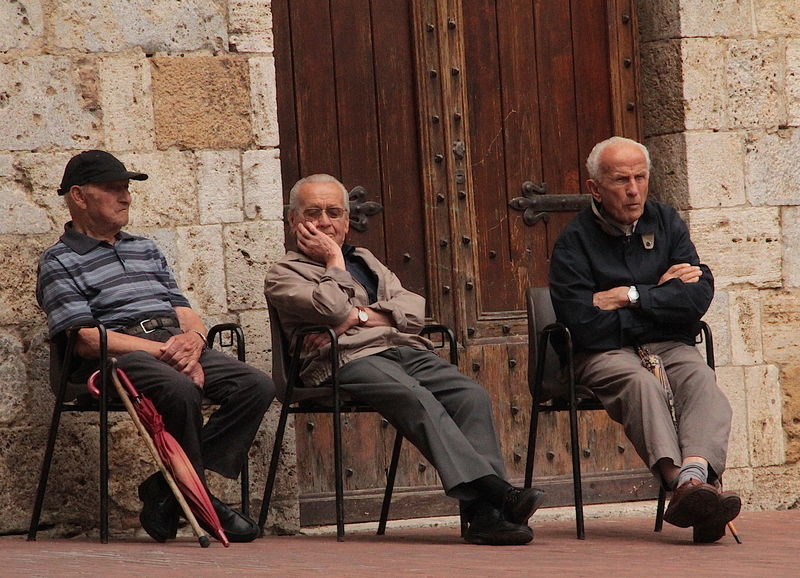 I am so looking forward to our summer tour to Italy in a few weeks. Now war is declared and battle come down…’. The call by punk rockers The Clash in 1979 was now very relevant. A war was declared, with the Springboks and the Roses (doesn’t sound too intimidating a war to me) agreeing to fight it out on the battlegrounds of the former cabbage patch, Twickenham, plus I was based in a faraway town across The Channel. I was in ideal circumstances to slip over the Channel for a quick London sightseeing invasion. Furthermore, my Marmite stocks were completely depleted and I had to heed to the call to refill this life essential provider of happiness. ‘It’s marvellous what Marmite can do for you’. I was thrilled to see that even the London Christmas lighting honoured this delicacy which was always so part of my life. It felt a little bit like ‘home’ driving the rental car out of Gatwick as here too, as in South Africa, they drive on the right side of the road; the left side. I must admit, or boast, that the switching of driving sides is no problem anymore and even driving the manual Astra felt very familiar and comfortable. As a matter of fact, the whole familiar feel of England ito language, food, sport and everything else all contributed to make this very short weekend a delight. I grew up in Durban and thus the ‘English’ feel was rather nostalgic. Never nostalgic enough to support the English in sport, though! In my 8th blog post ‘Rome’ I mentioned our friends from England who committed us to that delightful weekend in Rome. It was them at it again who organised the test tickets for Twickenham and though Jenny could not make it, it was a real pleasure to have a few beers with Dave, meet Rob and enjoy some test rugby on probably the headquarters of world rugby even though the rugby itself was a dull affair. I suppose the mere fact that the Bokke ended their end of year tour unbeaten makes it a success in the books, but I’m still seriously worried at the way they do their business. Fortunately, the English were so far behind in terms of self believe, creativity and structure that the Bokke could scrape through. I just wish these guys will realise kicking is for karate, while running is for rugby. I suppose I should have posted this criticism before this past weekend, when the ‘poor’ Roses beat the ‘mighty’ All Blacks as I suppose the Roses made me eat my words of earlier in this paragraph. Luckily for me I’ve already written them. I believe whatever statics quoted on the number of Saffas in London is wrong by 53.27%; there are many more. On the Underground after the game it was coincidentally funny when Oom Jan from Hartswater, Northern Cape chatted up two young guys from, wait for it, Hartswater, Northern Cape and who have been staying in London for the better part of 8 years. Oom Jan was on a weeklong rugby-supporting trip all the way from this little town so many miles (oops sorry, kilometres) away and here in London on the same coach he bumps into two guys from his hometown, and who knows him. They did find it hard to swallow though when Oom Jan showed them his son, a little further down the coach, as it seems this poor guy had much more hair and less kilograms when they last saw him! Tip to all South Africans out there, always watch what you say, there’s always someone nearby who can understand you, maybe even knows you. On all my previous visits to London I’ve always declined visits to Madame Taussauds, as it seemed to be such a lame artificial place. But it turned out to be one of those experiences where, once you drop your bias, it becomes an exciting outing to pose for photos with the likes of Morgan Freeman, Lionel Messi, Nelson Mandela or Spiderman, even though they have all had feet of wax. The highlight was a delightful 4D show of the Avengers super heroes, even though the lady who sat behind me probably didn’t sleep for the next week, so tensed up and scared was she by the realistic in-your-face effects. I was already out of the theatre but I could still hear her sighs and moans of relief that it was over, and amazement at what she just saw, heard and even felt. I like things to be understood in perspective. So ‘small’ and thus accessible is Europe that London by car from my Köln house is a mere 580km (512km if the Easyjet flies) while Durban from my Irene house in SA is 607km. It’s just as easy to visit London now than it was to visit Durban, and just think of all the cheeses, waffles, chocolates and types of sausages amongst many more things to see, taste and photograph while traveling through Germany, The Netherlands and Belgium to get to England. It’s just that tunnel under the sea that’s kept me from driving there! Jip, it’s a love story, born out of a love to travel. Probably OK to start when things started falling in place but to really provide insight, I’m going further back to provide proper background. I think its rather important that you understand why and what gave reason for us to embark on change; real huge change. And then what a move like this really entails. Since Heleen and my first ever overseas trip we’ve always wanted and hinted on going overseas. There was always some sort of adventurous pulling factor for us to also “experience it!” We settled into jobs early in our life and jobs became careers, we became a family of four and we “settled for suburbia” and comfort. Then we made a mistake! We introduced our kids to travel. They liked it and we liked to be able to share experiences, cultures and diversity with them. In the back of our minds we started thinking of giving them exposure and opportunity wider than Pretoria and South Africa. In the old days expanding horizons meant you move from, say Hofmeyer, to the cities, such as say Bloemfontein. In the current “global village” Bloemfontein can easily become Europe and this we decided is what we want to experience. Important here for me to mentioned that we want to experience living abroad, experiencing different cultures, ways of coping and be able to travel for cheaper, because destinations are closer. I love South Africa and we are not “leaving” South Africa. We are gaining Europe at the moment. Understand this. I will miss Karoo dirt roads, Kruger, Kgalagadi, West Coast, The Sharks, the Bushveld, Midlands, the Overberg and all other wonderful places and things in SA, but for now I will gain what Europe can give. OK, so back to now. Exxaro presented me with an elegant opportunity to exit, and though with emotions I didn’t know I had, I left my 21 year comfort zone, security and excellent employer to pursue something new. What that something will turn out to be I still need to find out. Heleen, on the other hand also received an excellent opportunity. She could pursue new opportunities within her current employer, T-Systems; continue her good career and gain international working experience while we pursue our dream of the Europe experience thing. Heleen and I have been so blessed through our lives and all necessary moving parts fell into place to realise this dream and opportunity. I thank God for looking after us. So, packing up a huge house in which four “gatherers” have been living for 16 years was one massive task. Practical issues such as my wine, which I could not relocated to Germany for practical and import duties reasons had to find new homes. Its stupid to “store” wine when you leave for an uncertain period as most of it is good drinking wines. I handed out wine in excess of 100 bottles! And now, here in Germany drinking cheap local reds, how I whish I had a few of those reds and chardonnays I know so well! Books, furniture and personal stuff which will never fit into a standard German residence had to be dumped as storage to friends and family and I must say, they all came to our help on this challenge, thanx guys again for your help and support. But other challenges of what we embarked on were Martha and Kgomotso, our live-in domestic help of 22 years and her son, attending the local Irene Primary School. Furthermore, finding good homes for three dogs that have been much part of our lives for the past 8 years proved an emotional drain as soon as the packing started. I now understood that clichéd phrase “the devil is in the details” fully when our concept of moving abroad had to be realised through impact on each and every little detail of our lives. However, we are now in Germany. We’re living in temporary accommodation to provide time for our stuff to arrive and time to house-hunt. Both of these already seem to be more complicated than originally thought, but more on that a little later. Part of our stuff to arrive is the 10 boxes of airfreight not included in the crate of everything which will be sent via sea-freight. This airfreight includes my coffee machine, and those of you who know me, will know how important that is! The kids are in St George’s, The English International School (50° 52.516’N 6° 56.802’E) in a little town Rondorf in southern Koln while we currently live in Bonn (50° 43.293’N 7° 9.405’E). I’m commuting them everyday and already that seems a time consuming effort. They both settled in nicely and we already had a fruitful parent teacher evening where feedback on both Cara and Stean was extremely positive. This school exposure already proves very interesting after the strict disciplined and nearly draconic experiences of previous schools on issues such as hair, uniform, make-up and general attire. Cara loves attending school with hair hanging loose, wearing boots to school (its cold out here) and replacing them with “pumps” for the school day! I know a few guys back home who’ll flip over if they see this. Bonn was the capital of West Germany from 1949 until unification in 1990 and the official seat of government of united Germany from 1990 to 1999. It is located on the Rhine River and is an extremely scenic city, with forests, greenery and farmland around it. Typical in Germany and Europe is that there are plenty of little “Irene-like” villages around the main centers. Rondorf is one such town. So, after just more than two weeks all seems fine, but the grind will come. Language, culture, ways of doing and just plane differences from the Suffas way will surely kick in soon!